Located one block off of Canal Street in the French Quarter, this Brennan family beef bastion does not disappoint. For more than 15 years, Dickie Brennan’s Steakhouse has been grilling chops, searing strips and winning hearts. 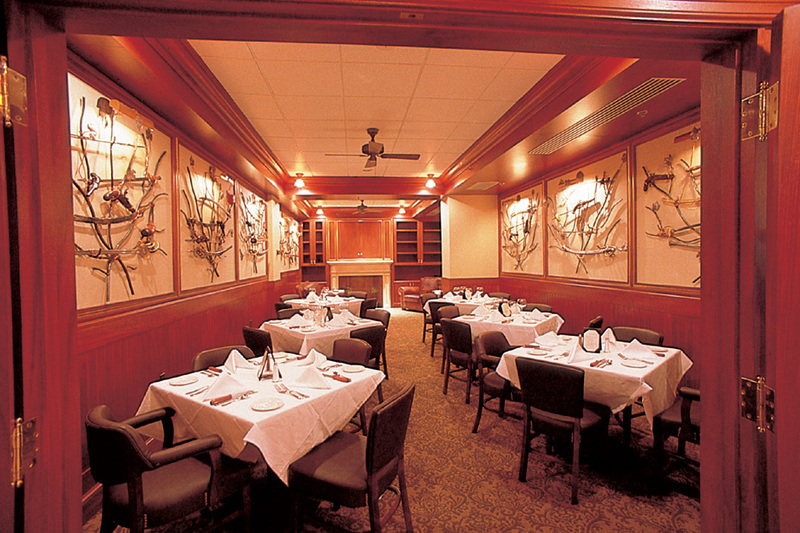 Accolades include the Wine Spectator’s Award of Excellence and Maxim Magazine’s 10 Best Steakhouses in America. 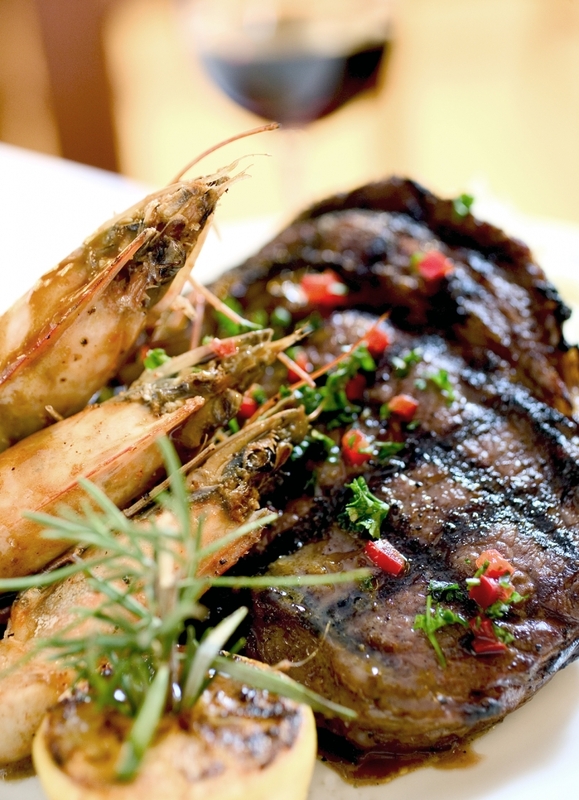 Guests at Dickie Brennan’s can expect straightforward prime steaks combined with an eclectic mix of Louisiana-style plates. 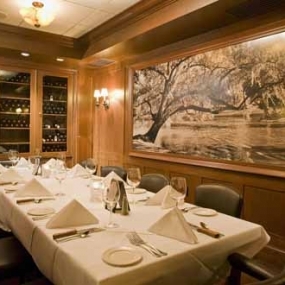 Great food, great service and versatile layouts have made this French Quarter restaurant a popular destination for meetings and corporate events. 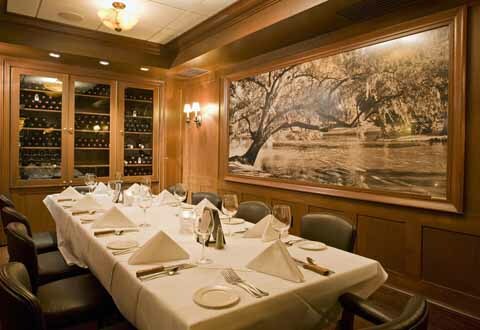 Featuring six private dining rooms, Dickie Brennan’s can accommodate private parties of 12 to 300 guests. Dickie Brennan’s brings a unique New Orleans sensibility to its classic menu. Signature dishes include the house filet served with masa flash-fried Louisiana oysters, tomato blue cheese Napoleon, Pontalba potatoes and roasted sweet potato with Creole pecan butter. 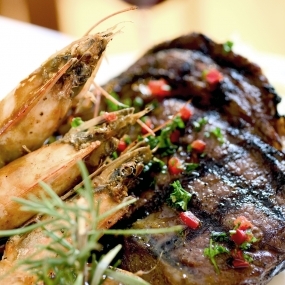 Several seafood dishes, such as garlic crusted Gulf fish, also rank high the restaurant’s list of favorites. 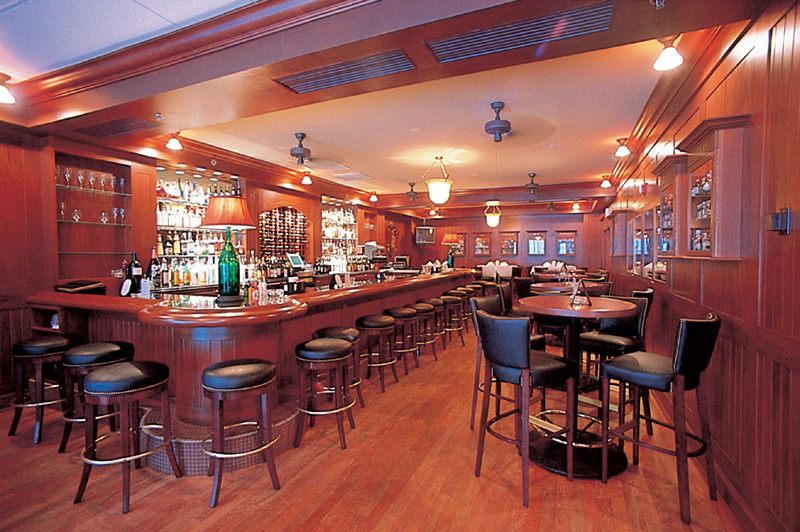 As for spirits, Dickie Brennan’s offers an award-winning wine list, classic cocktails and a meticulously curated selection of bourbons and whiskies. 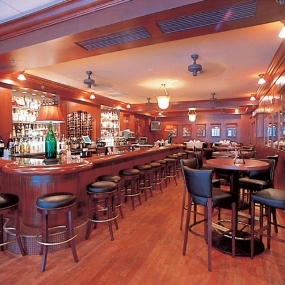 The restaurant’s wood and brass accented bar is a great place to start and finish your experience at this popular steakhouse. Dickie Brennan’s subterranean interiors were flooded with more than three feet of water following Hurricane Katrina in 2005. 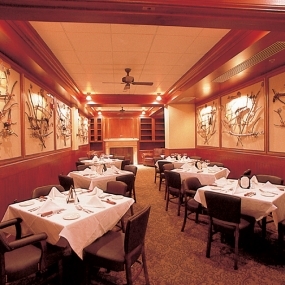 Today, the refurbished dining rooms create a subdued, dignified atmosphere for diners. Expect lots of wood paneling, vintage light fixtures and dark leather booths.